Elevate your style as the temperature drops with Affinity Cozy Toes. Cozy Toes features thermal insulation to keep your child warm with a wind- and rain-repellent outer shell to keep them dry. 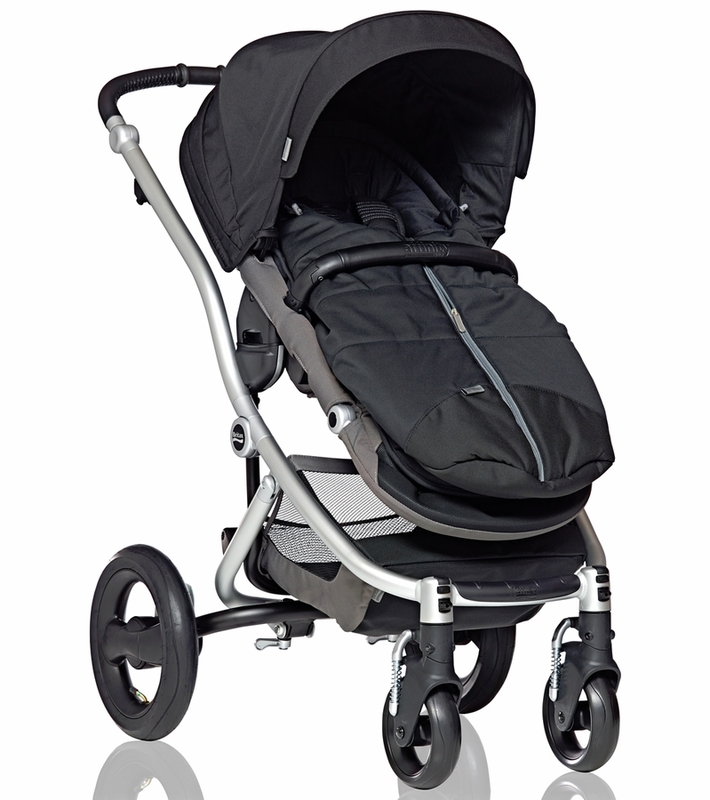 It easily attaches to the Affinity stroller seat and is held secure using the stroller harness. Cozy Toes has a full-length zipper down the front that provides easy access to your child and enhanced temperature regulation during winter travel. 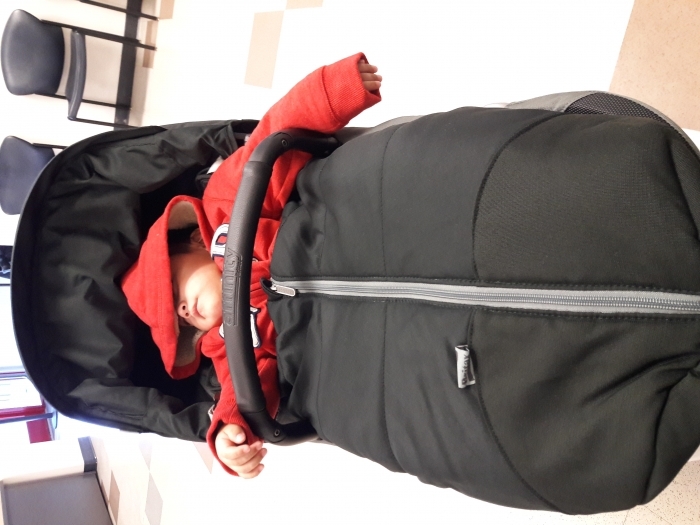 This foormuff fits perfectly in my stroller, it�€™s warm and cozy, exactly what my baby needs. This is a quality product and came free with our stroller! I�€™m not sure we will really use it much in Texas because it doesn�€™t stay cold for long but I can see it being a really useful product up north! 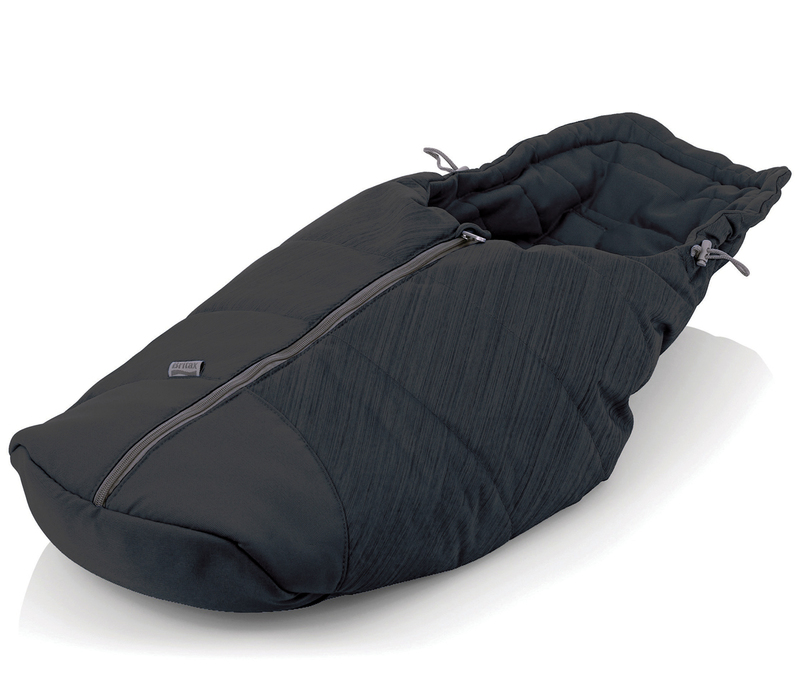 It�€™s so warm and looks very cozy- like a sleeping bag for your stroller. Good quality hoping to get some use out of it next winter. I don�€™t think we will use it this year baby is due in a month. Keep your child feet warm and lower body. I've never washed it as in California we don't use it too much due to the sunny weather here. Very warm and cozy. At first I thought the material was too stiff but it works well. I wish they'd make larger sizes! Great for winter strolls. 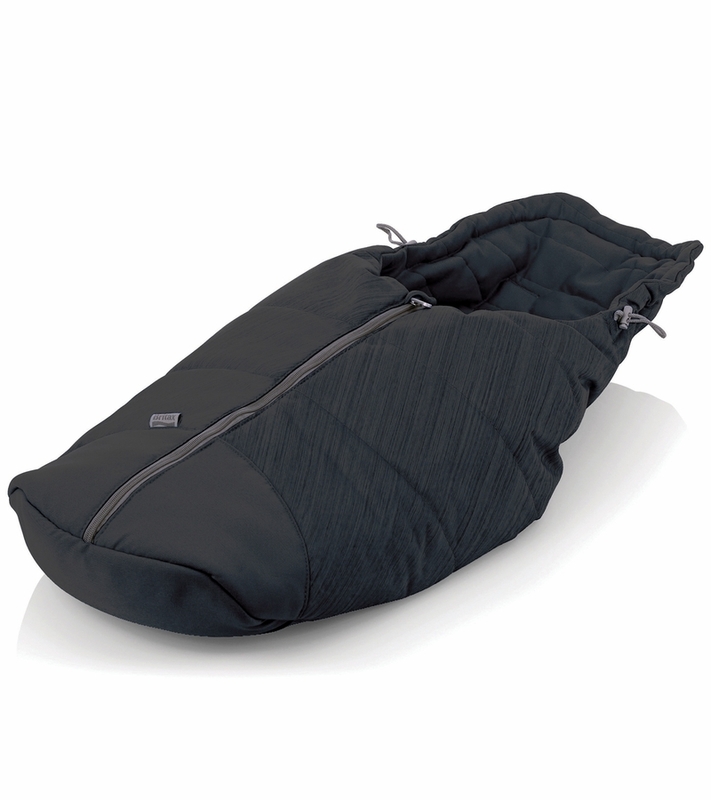 Keeps baby warm without having to retrieve dropped blankets every few seconds! These footmuffs are a good quality but they are so short. My 13 month old fit fine but my almost 3 yr old can't use it. Both are average height. I love this product .The only thing I didn't like is that it doesn't cover baby more on front. This is the best add on I've gotten for my little one. It was originally for my Britax Affinity stroller but also works well with others. Time saver, since I don't have to over dress my little guy. I recently purchased this item due to the cold winter. It has been absolutely nothing but helpful keeping my little one warm. It also keeps me from having to wrap him in blankets and extra outwear. This world just fine on its own. My little one loves it. Will this fit with the Britax B-agile? Pewr Britax yes, it will work.